These middle school instructions explain safe handling of a common laboratory chemical. Hydrochloric acid is corrosive and can burn you! Usually HCl is dissolved in water, either in concentrated or diluted form. But whenever you use HCl, do it carefully and follow these instructions. Keep hydrochloric acid in glass bottles back from the edge of the shelf. Keep bottles away from metals. Contact will corrode metals and could even release hydrogen gas, which is really explosive. Wear latex gloves and old clothes when you use concentrated HCl—not short-sleeved shirts, shorts, or sandals. Do not breathe the fumes. They can knock you out. If acid spills on your skin or splashes in your eyes, rinse the area with water for 5 minutes. Cover mild burns with a gauze bandage. Always ask a doctor to check your eyes or major burns. In the lab, you will either dilute or titrate hydrochloric acid. Listen to your teacher and follow these tips. When diluting, always pour the acid into the water. Doing it backwards can cause boiling, splashing, and burning! When titrating, use a buret to measure the HCl you need. Then react the HCl with a sample that has a base such as sodium hydroxide or sodium carbonate. That way, you will get an accurate measurement of the base in the sample. To dispose of HCl, neutralize it by mixing the acid with a sodium hydroxide solution. Then test the mixture with litmus paper. Flush the neutralized solution down the drain. If you spill HCl, cover the spill with a lot of baking soda. After the fizzing stops, sweep up the soda and put it in the garbage or flush it down the drain. Using Hydrochloric Acid (Strong) by Thoughtful Learning is licensed under a Creative Commons Attribution-NonCommercial-ShareAlike 4.0 International License. 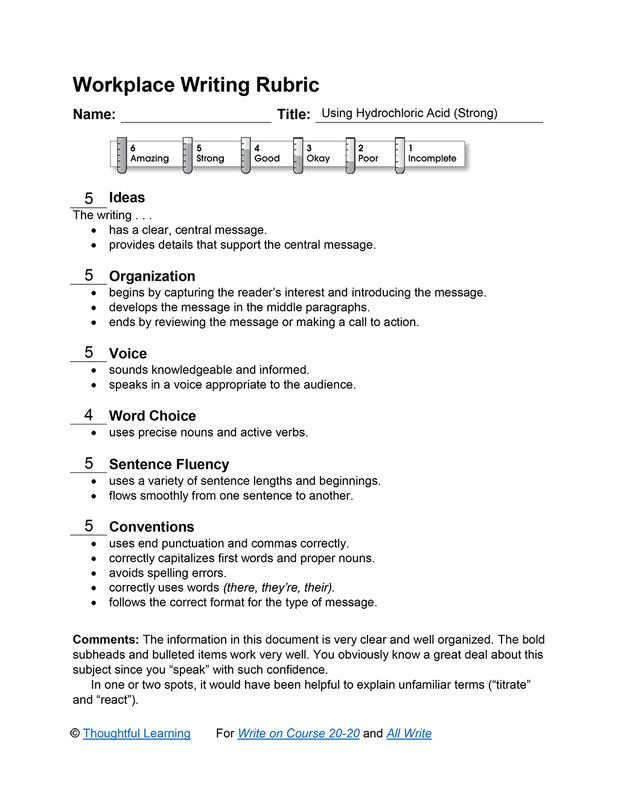 Based on a work at k12.thoughtfullearning.com/assessmentmodels/using-hydrochloric-acid-strong.